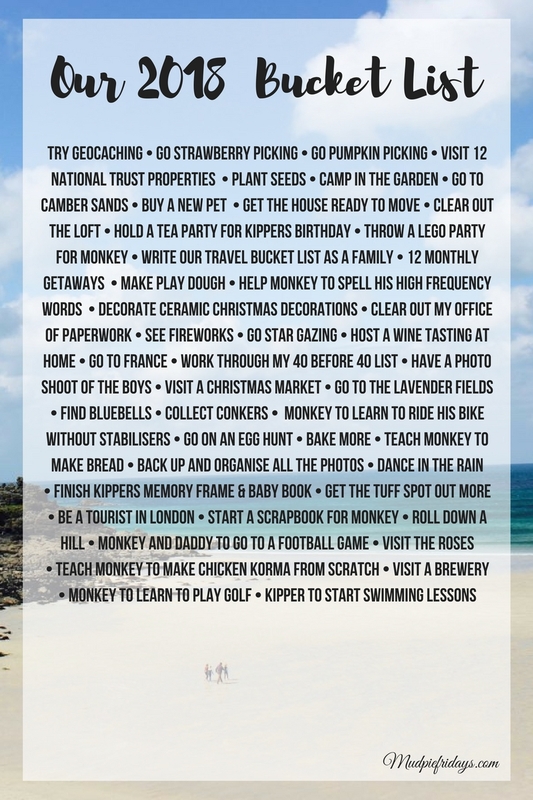 2018 Bucket List February Update: At the beginning of the year we put together a bucket list as a family of all the things which we would like to do in 2018. 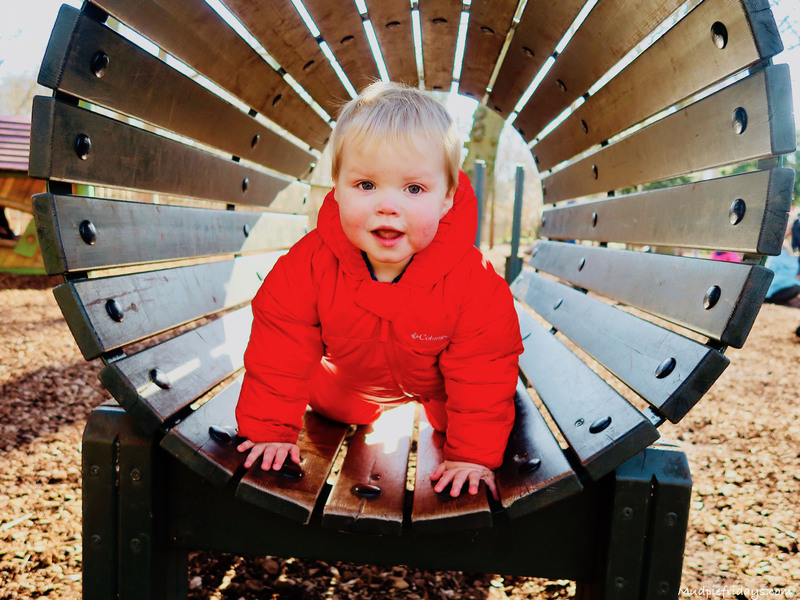 February is such a short month, I did think when I came to write this post that we wouldn’t be able to cross anything off the list. However to my surprise we have managed to cross a couple more things off. Many of the things on our list are season dependant so I expect to cross much more off in the Summer months. We have continued working though visiting our list 12 new National Trust properties by visiting Cliveden at the weekend. It wasn’t our intention but when we realised that it was so close to Windsor and the weather was glorious we went for a look round. There will be a post coming soon. 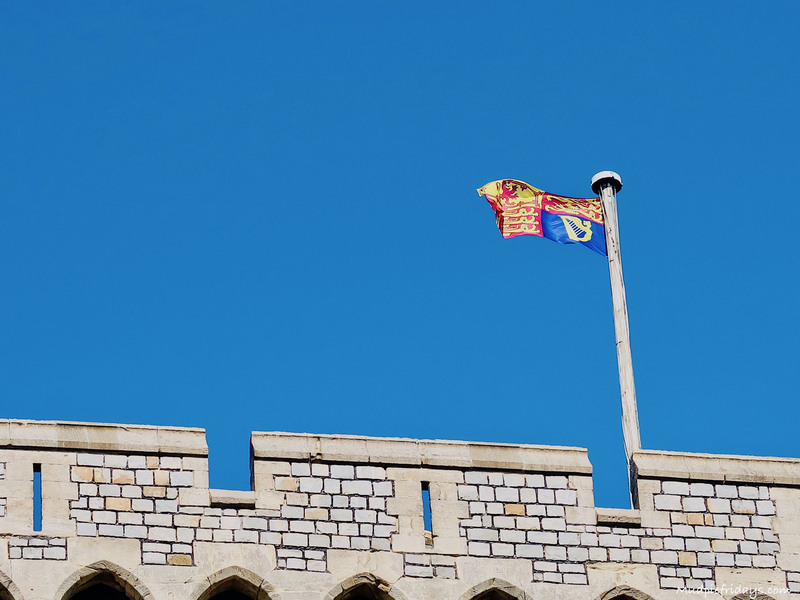 We have also done well with our ABC of Castles ticking two more off the list – Corfe and Windsor. Our intention to go away once a month is going well as we were lucky enough to spend the last weekend of half term in Dorset. As Monkey had an inset day we got away for three nights staying at Caalm Camp, glamping in a Mongolian Yurt. The last weekend in Feb we spent in Windsor. Which really enjoyed, although we didn’t manage as much exploring as we would like. So Hubby and I have added it to our list of destinations to go without the kids. While in Dorset we managed to fit in two museums. 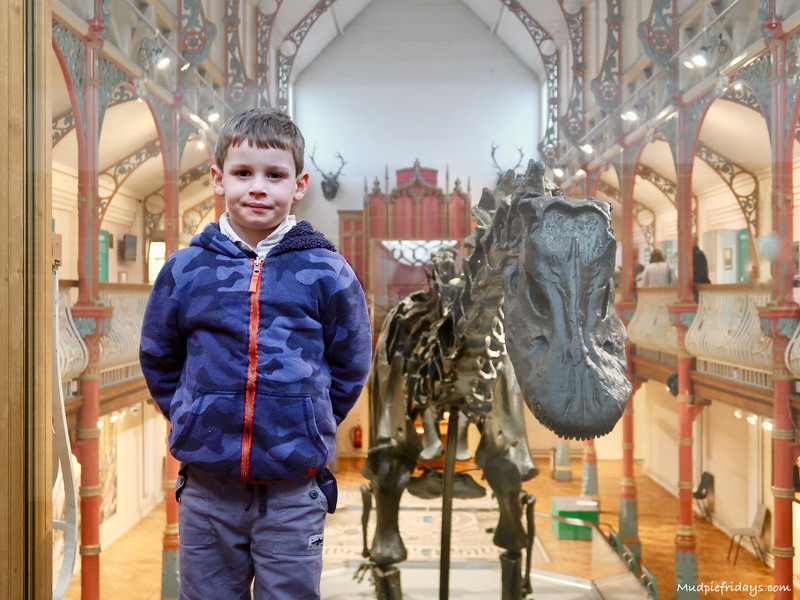 The Dinosaur one and also a trip to the Dorset County Museum to see Dippy on tour. Neither museum we had visited before. The Dinosaur museum was quite small and occupied an hour or so. We weren’t planning on visiting Dippy as it looked like online that we would need to book tickets. But since it was practically across the road Hubby popped in and asked. I didn’t even realise it was free! As well as visiting Dippy himself they boys took part in the arts and crafts that had also be laid on. We celebrated Shrove Tuesday early because Hubby was travelling that week. This year was the first year we could make proper pancakes. Up until now Monkey has been too allergic to egg to consider making them in the traditional way. However since he has overcome that allergy we all enjoyed pancakes on Sunday morning. Although Kipper wasn’t that sure despite the free from chocolate spread. Although we haven’t actually done it yet, I have booked a professional photo shoot of the boys for the end of March. All going well we will be able to cross it off our list next month along with finding bluebells. We also managed to go to a Zoo we haven’t been to before. Heading over to Paradise Wildlife Park to be a Mini Zookeeper. 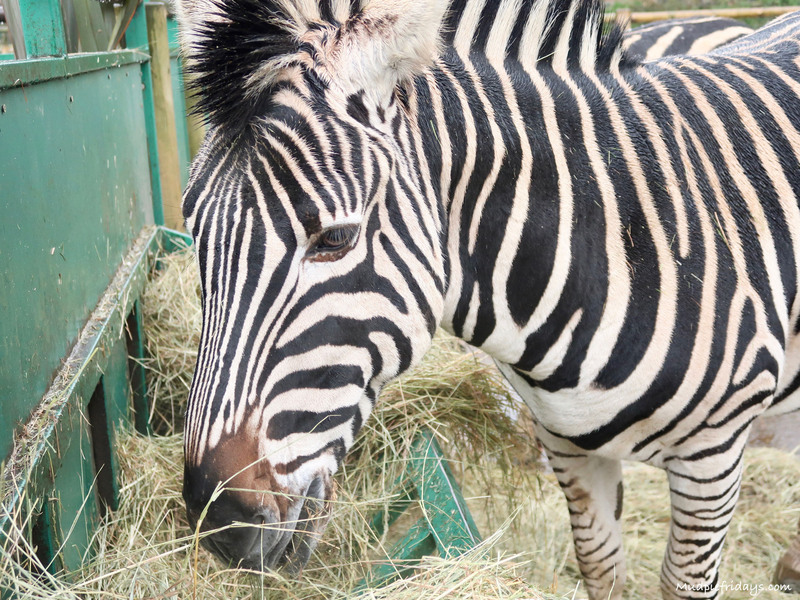 As well as the experiences we took part in I was surprised by just how close you could get to the animals. It was a brilliant day out which is why we have said yes when they invited us back in March for their special Dinosaur opening. So all in all we made a good dent into the list now. Although the things we have done tend to be the easier things. Monkey has changed his mind and is now having a Lego party. I have booked both the hall and the entertainment, everything else can wait until nearer the time. I would love to make a bucket list too but I never seem to have the time! What a great idea. We have a toned down version, which is to have at least one fun day out a month. 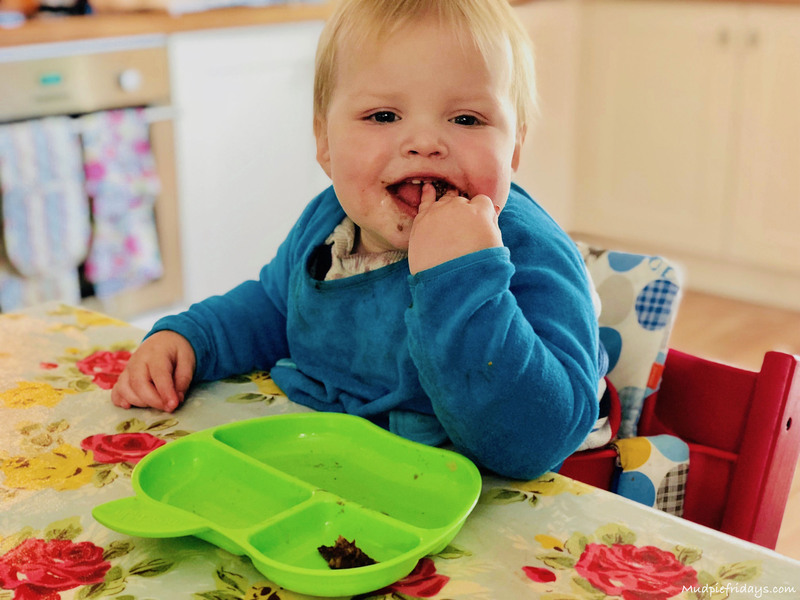 Last month’s was delayed due to chicken pox, so we have two to squeeze in this month, as well as birthday celebrations! Wow that is an amazing list. I have ticked a few things off mine but need to get on with ticking a few more. This is such a great list, makes me want to try my own. I need someone to teach me how to make Chicken Korma from scratch too! That is a great family list. Well done on managing to cross off a couple of things already. I must try harder to do ours before we get too much further into 2018. This is such a fabulous idea! All of the travel as a family and that at home wine tasting doesn’t sound too bad at all! What a fab list. Hope you’re having fun ticking them off! 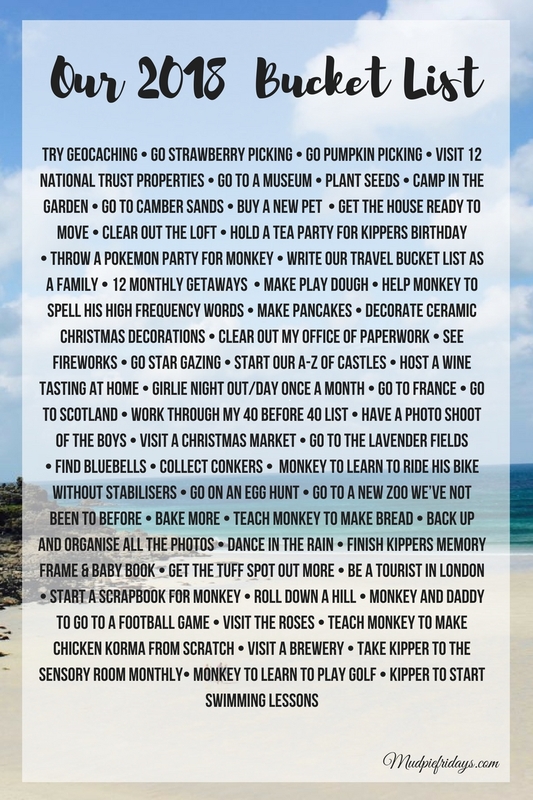 I love this list, I would love to try a few of those things although the 40 before 40 won’t work for me, I turn the big 40 on Friday! I live this idea. Its a great way to never get bored. I think.we will create our own too.